The European Commission has announced today that Penguin has agreed to a settlement over the anti-trust investigation over agency pricing. Penguin won’t “restrict, limit or impede” e-book retailers’ discounts or their ability to “set, alter or reduce retail prices for e-books” for two years, according to details of the proposed changes as published in the EU’s Official Journal today. Apple, the world’s biggest technology company, and four publishers previously offered similar remedies to allay European concerns. Penguin has confirmed the news today, saying in a statement that "subject to the market test currently under way, it has reached an agreement with the European Commission to settle its investigation". But in spite of the settlement Penguin continues to pretend that they did not conspire with Apple and 4 other publishers to control ebook prices. 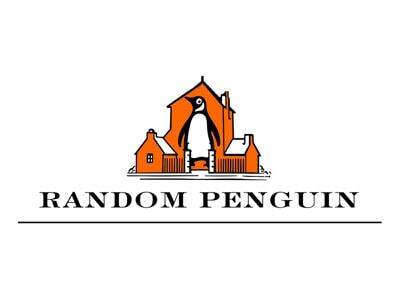 Later in the statement Penguin indicated that: "Penguin's position that it has done nothing wrong remains unchanged and the company continues to believe that the agency pricing model operates in the best interests of consumers and authors. While we disagree with some elements of the commission's analysis, we are settling as a procedural matter to clear the decks in anticipation of our proposed merger with Random House." Penguin had already settled with the DOJ here in the US, but they were not part of the settlement agreement that Apple and the other 4 publishers (Simon & Schuster, HarperCollins, Hachette Livre, and Holtzbrinck) negotiated with the EU. Penguin's absence was a little odd at the time considering that they had settled with the DOJ only the week before. Why? I’ve stopped reading the big published authors and I’ve started reading the self pubbers. I looked at my Kindle purchases for the last few years. I’ve bought more in the last 6 months than I have in the previous 2 years. I’m finding the big published authors and flat, unexciting and just downright boring. Self Publishers seem to be willing to take a few more risks and don’t always stick to a script: granted, they probably need to proof read a bit more! I refuse to spend $10-12 plus on a published author; the last one was Justin Cronin’s The Twelve – sorry Justin, your book was crap-have you ever heard about getting to the point? I’ll spend up to $3 on a self-pub author I’ve never read and if I like them, up to $10 on their newer stuff. So thank you Penguin, S&S, HarperCollins ect. I’ve found a whole new world of reading that I wouldn’t have got into if you hadn’t illegally (sorry, alleged) inflated your prices.